Dr. Elsey’s is one of the top-rated litters on Amazon, and for good reason. It’s a non-scented, dust-free and clumping litter that makes for incredibly easy cleanup. The formula uses heavy granules, which reduce tracking when your cat leaves the box, and is hypoallergenic—so your finicky cats won’t have a problem using it. It’s also designed to reduce liquids from hitting the bottom of the tray, which means you won’t spend your evenings scraping up congealed litter. Though it’s scent and perfume-free, the medium-weight clay is formulated to reduce odors by trapping them inside. Even apartment dwellers love Dr. Elsey’s, remarking that it is one of the only litters that eliminates odors, even in small spaces. It also works well for multiple cats, though we’d recommend changing the litter a little more frequently. 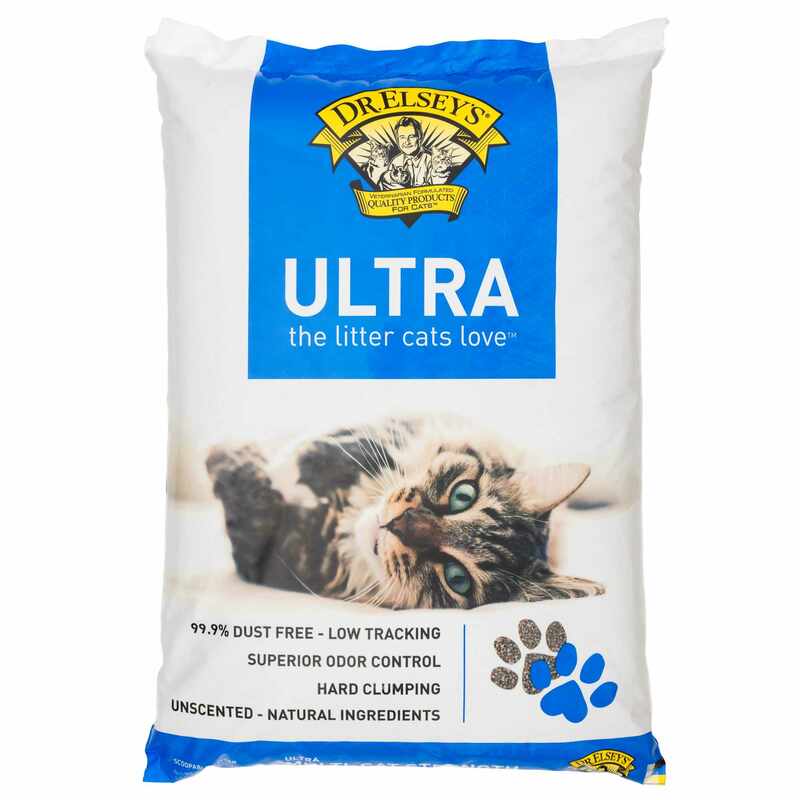 Precious Cat Ultra is available in 18 pounds or 40 pounds; pouring it out of the plastic bag can be cumbersome, so we recommend a cat litter container to make it a little easier. 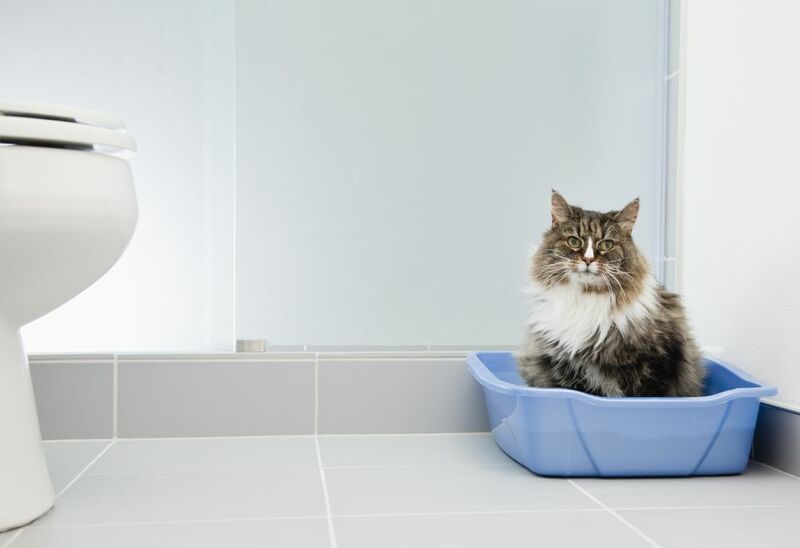 Any cat owner who has more than one feline knows the struggles of keeping a clean litter box. We recommend at least one litter box for each cat, but often they end up using the same one either way. To reduce odors and make cleanup easier, we love Arm & Hammer’s Clump & Seal Multi-Cat litter. It comes with a 7-day odor-free guarantee, and is formulated to create hard clumps that won’t fall apart during cleaning. It’s made with Arm & Hammer Baking Soda, which is proven to reduce smells and is almost entirely dust-free. Reviewers do note that it has a strong “clean” smell, which might not be to everyone’s taste. But if you’re struggling to keep your house smelling cat-free, Arm & Hammer’s litter is a great choice for multi-cat homes. Reviewers love how easy it is to change the litter with Tidy Cats LightWeight, though some remark that the smaller-sized granules cause it to get tracked around the house on occasion. We recommend a high-quality cat litter mat to help solve any issues with tracking and kicking outside the box. While some people can’t stand the smell of perfumed litters, others relish the odor-reducing power a well-scented litter can offer. If you’re looking for a litter that smells good enough to be used as potpourri (though we don’t recommend it), World’s Best Cat Litter delivers a fresh lavender smell you won’t dread coming home to. It’s a clumping litter that’s also dust-free, and is made with slightly smaller granules —so do expect a bit more tracking, but the lavender scent is floral and welcoming. It’s a great choice for those days when you’re away from home a little longer than you’d prefer. It comes in a 7, 14 and 28-pound bag, and reviewers say it’s light enough to easily carry. If you’re looking for a scented litter, the not-so-humbly-named World’s Best is an excellent choice. While there are many benefits to clumping clay litters, a non-clumping litter can still be easily dumped and changed; it’s the ideal option for those looking for a natural product. Purina Yesterday's News is made from 100% recycled paper, and is both gentle and highly absorbent while still being safe for the environment and your cat. In fact, it is three times more absorbent than clay litters — and because it doesn’t clump, you won’t have to worry about scraping the bottom of your box when you change it out. The biodegradable paper pellets are great for cats with respiratory issues, as the ingredients don’t irritate the way some clay litters can. It comes in a 13 and 30-pound bag, and in a “softer texture” formula that’s a little gentler on sensitive paws. Reviewers love Yesterday’s News for elderly and sick cats, and it is often recommended for cats with skin allergies. If you are looking for an earth-friendly litter that is easy to clean, Yesterday’s News is a great choice. While many of the most popular litters are made from clay, silica gel is quickly becoming a favorite among cat owners for its ability to absorb large amounts of liquid and to reduce mold and bacteria. Dr. Elsey's Senior Cat Litter comes in an eight-pound box, is made from amorphous silica gel and is safe if inhaled or ingested. Rather than clumping liquid like clay litters, the gel actually dehydrates waste and removes the need for scooping urine. Dr. Elsey’s provides superior odor control and has an added herbal attractant designed to encourage cats to use the box. Many veterinarians recommend this product for cats prone to UTIs and kidney infections, as some clumping litters can attract the bacteria that cause these issues in the first place. Reviewers say Dr. Elsey’s is great for their elderly and sickly cats, but also love it for younger and healthy cats as well. Because gel litters absorb liquid so quickly, they can be more desirable to picky and fastidiously clean cats. If you’re looking for a natural litter and your cat won’t use recycled paper, Blue Buffalo Naturally Fresh Litter is a great choice that even draws the most finicky of cats. It is made from walnut shells, which make it safe for the environment (and your cat, if ingested). It’s 100% biodegradable and formulated to absorb three times the liquid of clay litters. Like many clay litters, though, it clumps and provides easy cleanup for liquid and solid waste. Some reviewers say it generates a little more dust than other brands, but that it’s worth it to provide a healthy and safe litter. Owners also love that their picky cats will use Blue Buffalo, unlike some pine or corn-based litters that many avoid. If you’re looking for an odor-reducing and earth-friendly litter, Blue Buffalo Naturally Fresh Litter is the best natural litter you can buy.